↑ N., G. H. F. (1933). "Sir Ronald Ross. 1857-1932". Obituary Notices of Fellows of the Royal Society. 1 (2): 108–115. doi:10.1098/rsbm.1933.0006. ↑ "Ross and the Discovery that Mosquitoes Transmit Malaria Parasites". Centers for Disease Control and Prevention. 8 February 2010. Retrieved 31 January 2014. 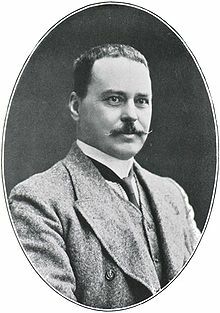 ↑ "Sir Ronald Ross (1857-1932)". Dr. B.S. Kakkilaya's Malaria Web Site. Retrieved 31 January 2014.